Essential oils which are highly concentrated substances extracted from roots, leaves, seeds, or blossoms of plants are used in aromatherapy. These oils contain chemicals which can be absorbed into our body. Essential oils can be diluted with a base or carrier oil for massage, or put in a vaporizer for you to breathe them in. The use of different oils and massage techniques used in aromatherapy might provide a relaxing and soothing effect, which can increase the sense of well-being and improve general health. In your pregnancy, if you want to try aromatherapy, it might be worth asking for a small demo in the form of a hand or a foot massage to understand and experience the feeling before actually getting it done. However, it might not be safe to use essential oils if you have a history of miscarriage, any vaginal bleeding in pregnancy, epilepsy, heart problems, diabetes, blood clotting problems, or you have thyroid, liver or kidney disease. 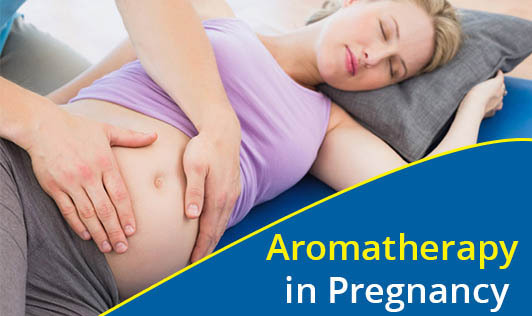 There are both negatives and positives for using aromatherapy while you are pregnant. The negatives could be quite serious and the effects can be devastating. It is essential to seek advice from a professional practitioner before using any essential oil. If you're still considering aromatherapy, consult your doctor and a trained aroma therapist about the possible risks and benefits.